One of the most poisonous mushrooms in the British Isles, I found this specimen on the roadside by the woods close to Paxtons Tower. Its distinct volva made it easy to identify. Splendid find. I have seen the 'normal' A phalloides with greenish shine to cap on very few occasions but never a nice white one. Although there are almost twenty synonyms, 'Species fungorum' give no varieties, just 'phalloides'. 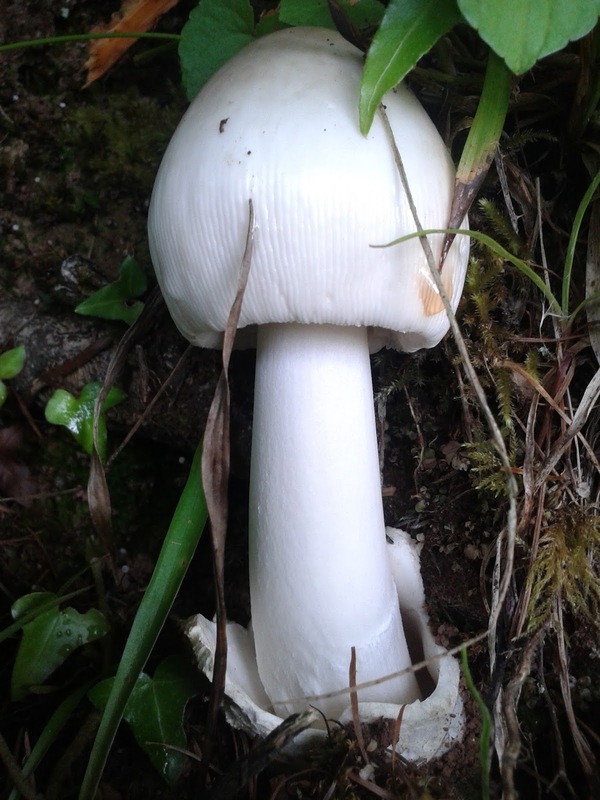 Lovely mushroom. It looks good enough to eat.